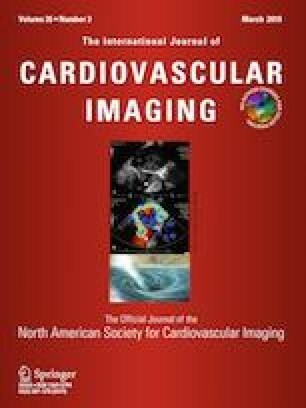 In a prospective, randomized study we performed left atrial (LA) functional imaging and late gadolinium enhancement (LGE) in patients undergoing pulmonary vein isolation with ablation of the anterior mitral line to evaluate LA function and visibility of the anterior mitral line and to explore the relationship of these factors to short- and long-term procedural success. Functional imaging of the LA and LGE-visualization 15 min post i.v. administration of gadobutrol was performed on a 3 T MRI system before and after ablation. Patients were grouped in (a) subjects with sinus rhythm, and (b) subjects without sinus rhythm at the follow-up-MRI. Eight patients were excluded due to poor image quality. 37 patients were allotted to group a, 4 patients to group b. Group a showed a significant improvement in ejection fraction (22.3 ± 7.1% vs. 27.2 ± 5.5%; p < 0.001), end-systolic volume (111.6 ± 48.3 ml vs. 96.9 ± 37.2 ml; p = 0.002), stroke volume (30.2 ± 12.6 ml vs. 35.6 ± 12.6 ml; p = 0.003) and LGE (12.5% vs. 83.7%; p < 0.001). Group b showed no significant changes in functional parameters or LGE. Patients with successful therapy at 12 months showed significantly lower volumes in the baseline MRI. Scarring along the ablation pathways could be visualized with LGE. Patients with successful CA showed a significant improvement in LA cardiac parameters. Pre-ablation atrial volume seems to be a predictor for long-term success. Heidi Estner receives an investigator-initiated grant by Biosense Webster, holds honorary lectures for Boehringer Ingelheim Boston and is an advisory for Boston Scientific. The other authors declare that they have no potential conflict of interest.